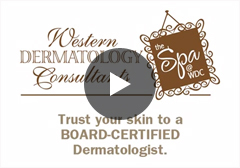 We are a two-physician, three-PA private practice: a busy medical and surgical dermatology practice, as well as a Mohs practice. We also offer a medical spa with three nurse injectors and four estheticians. We have two offices, one on Albuquerque’s growing west side and the other in Albuquerque’s established northeast heights. We have a loyal and experienced support staff who add to the excellent reputation we have in the community. This employment opportunity allows for a family-oriented lifestyle. Our practice offers medical and dental insurance, a retirement plan, paid vacation and CME leave, and relocation expenses. We offer a signing bonus as well, with details to be explained to interested parties. The salary we offer is competitive with the option to become partner. New Mexico is under-served medically, and most medical practices are very busy. A physician joining our practice can expect to be busy quickly. Albuquerque is located in north central New Mexico and is the hot air balloon capital of the world. It is the perfect location for many recreational activities including hiking, mountain biking, skiing, and snowboarding. 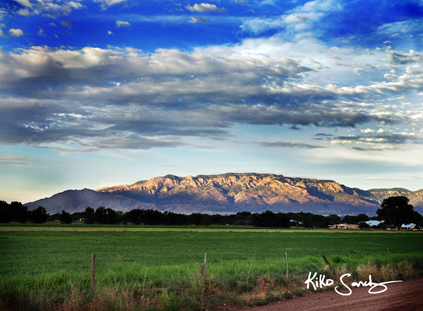 The Sandia Mountains are the beautiful backdrop to our landscape and are minutes away from Albuquerque. Santa Fe, known for its rich history and culture, as well as world-renowned art, is an hour from Albuquerque. Taos, a nationally known ski area, is three hours away. Several lakes are within two to three hours of Albuquerque and offer boating, fishing, and water skiing. Albuquerque and Santa Fe are unique with their Native American and Mexican influences. Several theaters regularly offer productions both in Albuquerque and Santa Fe, and Santa Fe is host to a world-renowned opera. The New Mexico Philharmonic is Albuquerque’s resident symphony. In addition, numerous concert venues present contemporary music offerings. Santa Fe is home to the Santa Fe Pro Musica, as well as the Santa Fe Symphony. 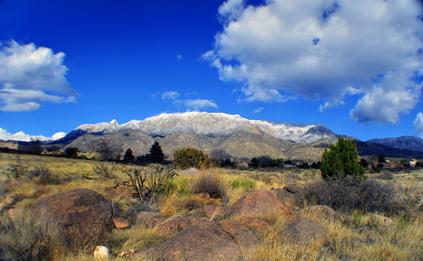 Albuquerque’s population is eclectic, and cultural opportunities are varied. We have more than 300 days of sunshine each year, with picture perfect skies and beautiful mesas.